Greenpeace joins First Nations and citizens to oppose Sharbot Lake uranium exploration. Greenpeace Press Release. 81 Organizations Sign Statement of Support for Algonquin Blockade of FVC Uranium Mining Site. NIRS Press Release. 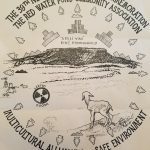 Uranium Mining and Nuclear Pollution in the Upper Midwest, a fact sheet with action ideas from Defenders of the Black Hills. NIRS comments on re-write of Michigan’s mining rules and regulations, particularly concerning newly proposed uranium mining in Michigan’s Upper Peninsula. From NIRS’ No Nukes on Native Lands benefit starring John Trudell, 8/24/02 in Washington, D.C. Sammy Blackbear of the Skull Valley Goshutes speaks about the proposed PFS Dump in Skull Valley, Utah Southwest Research and Information Center Letter to Representative Heather Wilson on withdraw of the proposed legislation that would provide up to $10 million per year for three years to domestic uranium producers. Background Information on the Proposed Private Fuel Storage Nuclear Waste Dump NIRS “No Nuke Waste on Native Lands!” Action Sheet, June 9, 2001. NIRS National Day of Action Against Radioactive Racism, in commemoration of Chernobyl nuclear catastrophe anniversary, March 26, 2001 (alert, flyer , press release). Stop the Nuke York Bailout! Your donations make our work for a nuclear-free, carbon-free future possible.